Located in the 52-hectare health and wellness precinct of City Springfield Central Healthcare, Mater Private Hospital Springfield is a new and integral supplier of healthcare to Australia’s largest master planned city. The 80 bed facility is the first hospital in the region, and will complement Mater Health Centre Brookwater in supplying health services to the Greater Springfield community. Totalling an $85 million investment, the Mater Health Services Board of Directors contributed $63.3 million to deliver specialist medical and surgical services in the areas of; General Medicine, Rehabilitation, Respiratory, ENT, Gastroenterology, General Surgery, Gynaecology, Ophthalmology, Dermatology, Oral and Maxillofacial, Orthopaedics, Plastics, and Urology. 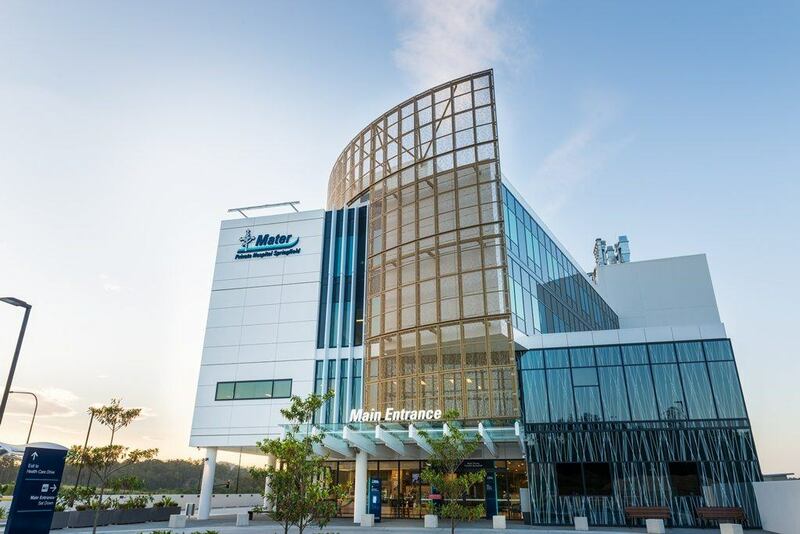 The additional $21.4 million funding was donated by the Federal Government and facilitated a marriage between Radiation Oncology Queensland and Mater Health Services to deliver Mater’s Cancer Care Centre Springfield. The pre-eminent centre will feature a linear accelerator and fifteen medical oncology treatment bays where patients will receive radiotherapy and day oncology services. ESCO Industries products were supplied during the 2015 fit-out of the hospital’s operating theatres, inpatient wards, day surgery unit, medical imaging, and allied health services. Over an eight-month period ESCO worked with the electrical consultant and contractor to custom-design approximately 150 Medicon Alphamax Medical Services Panels. Frequent changes to the panel designs and scheduling were able to be promptly accommodated by ESCO’s on-shore manufacturing process and local fabrication facility. In addition to the MSPs, the four new operating theatres were supplied with Isolating Transformers as well as Line Isolation and Overload Monitors, while Meditek provided a total of seventeen UPS Status Indicators. The 10,000m2 facility aspires to provide holistic specialist healthcare with an acute focus on patient experience that will set a world-class standard in treatment, from admission to discharge, and from now well into the future.